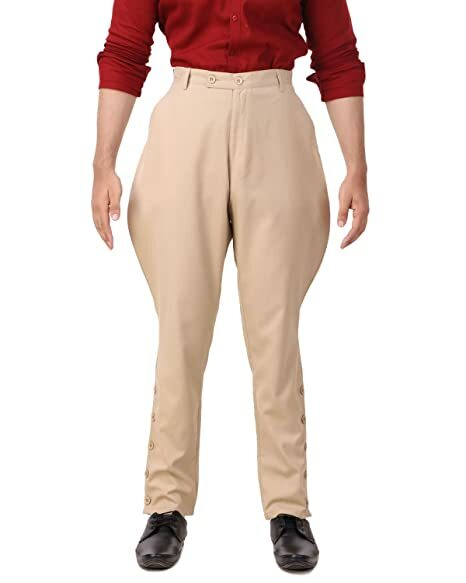 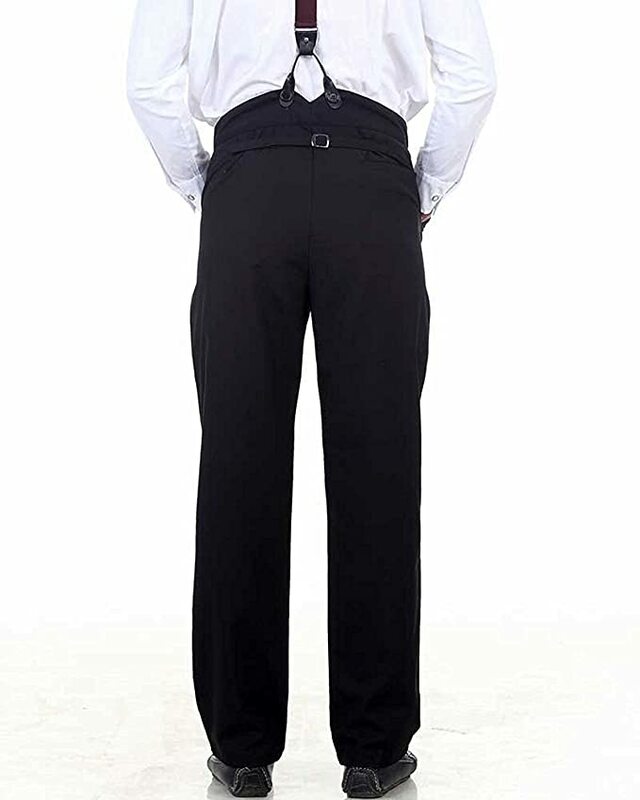 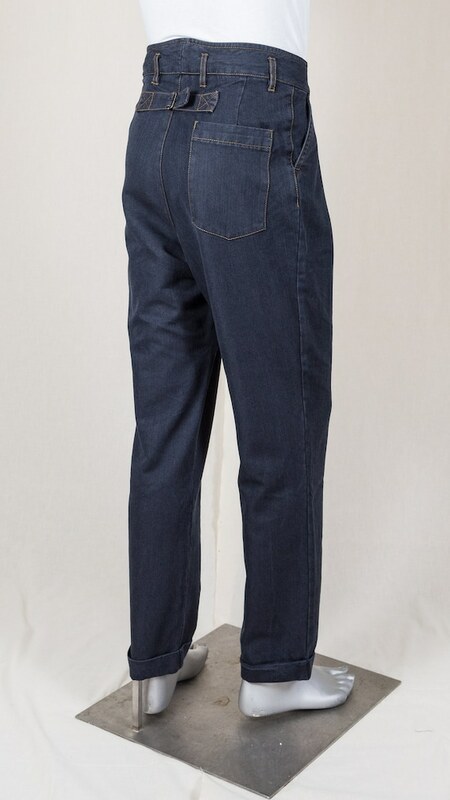 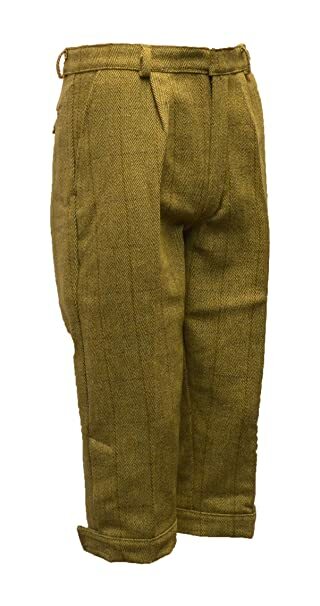 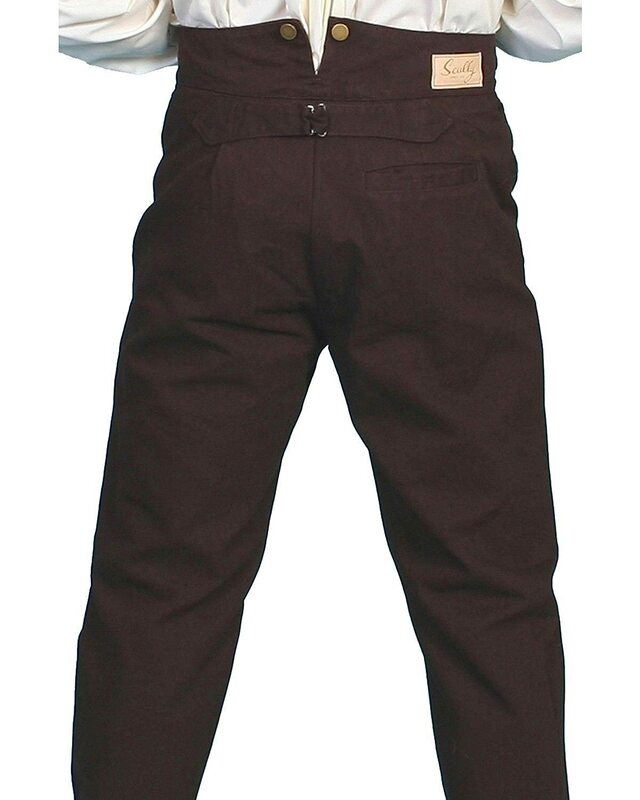 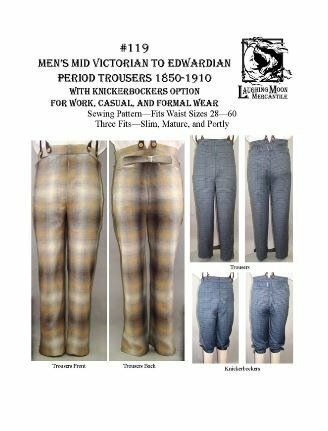 Men’s pants and trousers in the Edwardian era (1900-1910) were still high waisted with full hips and legs that tapered to the ankle. 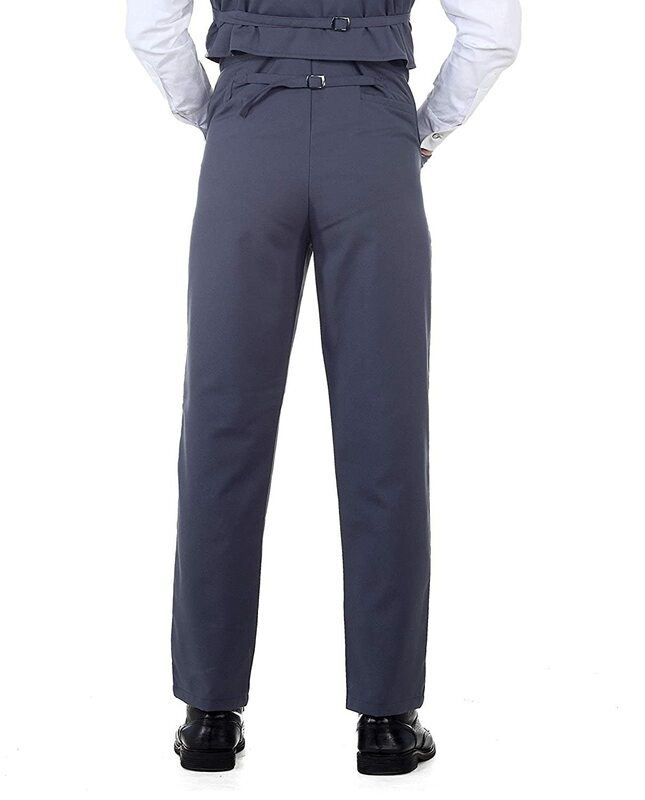 Overall the look was slim and getting slimmer when the Jazz Suit came in fashion. 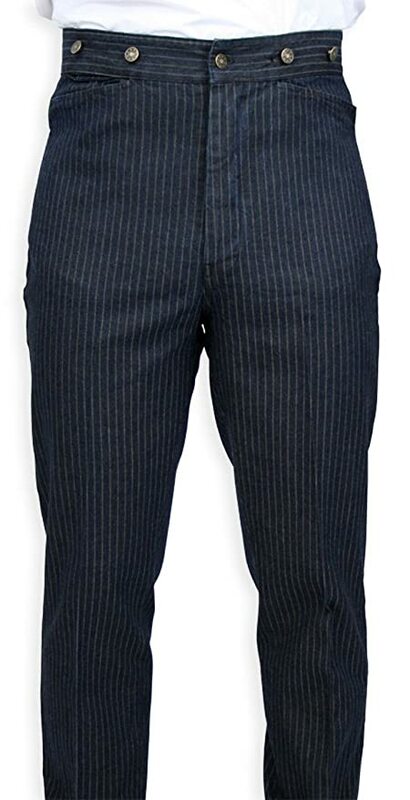 Morning suit pants were striped grey and black. 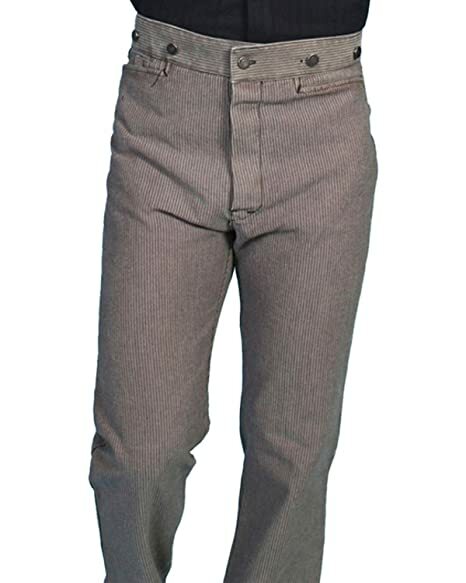 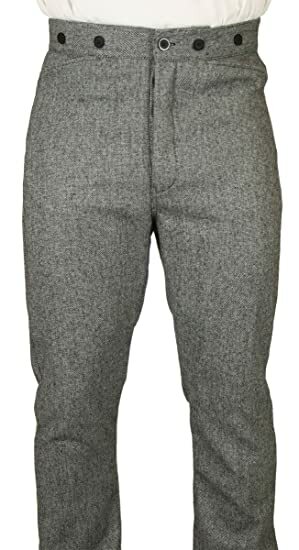 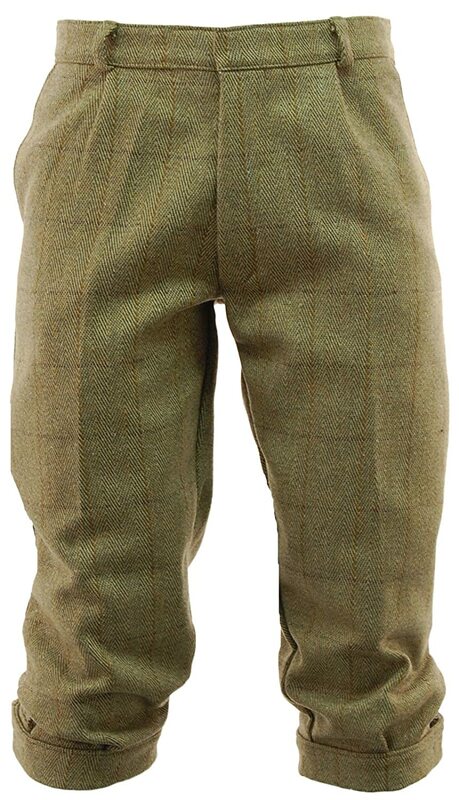 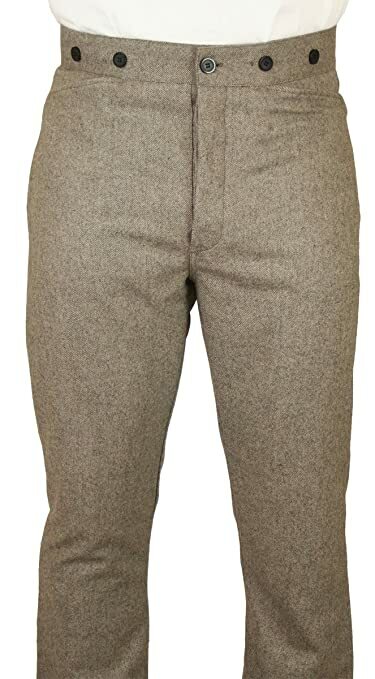 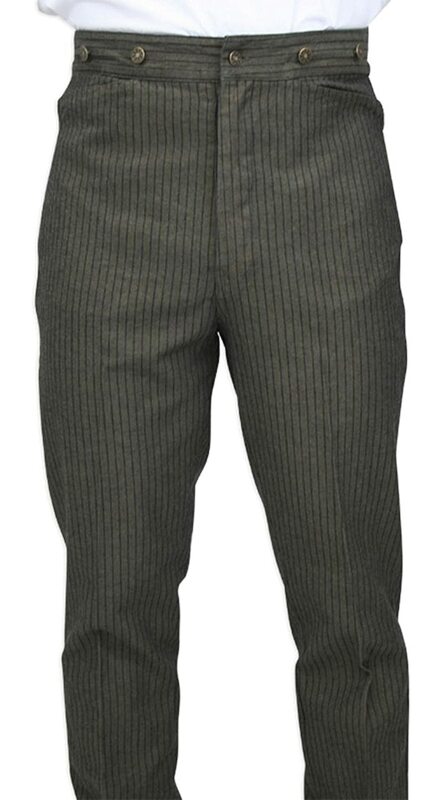 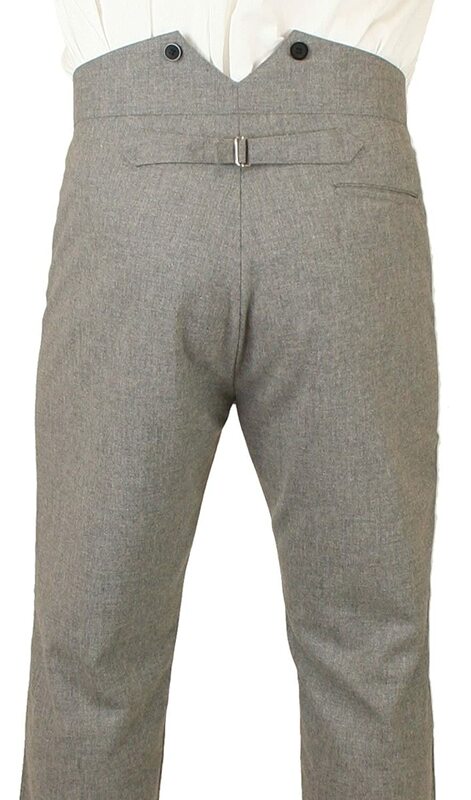 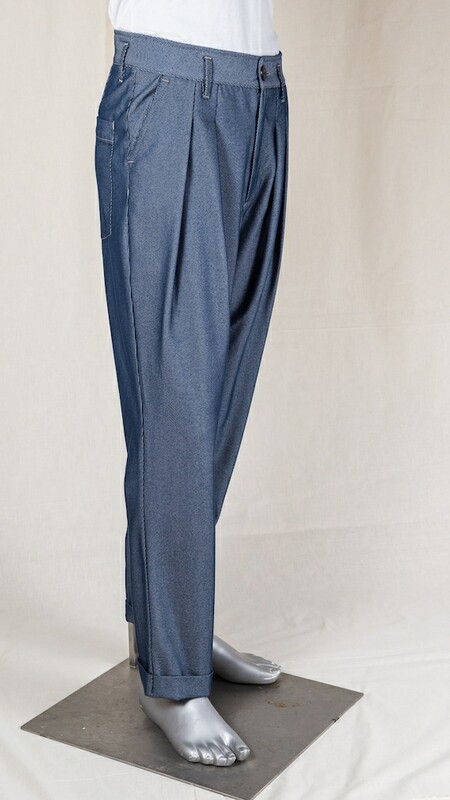 Day to day pants matched suits in grey, brown, or tweed. 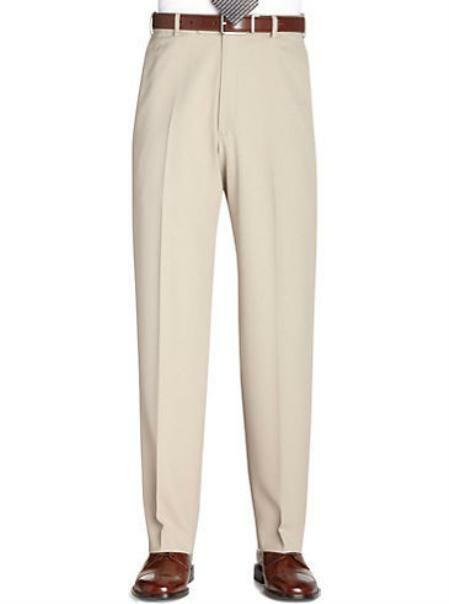 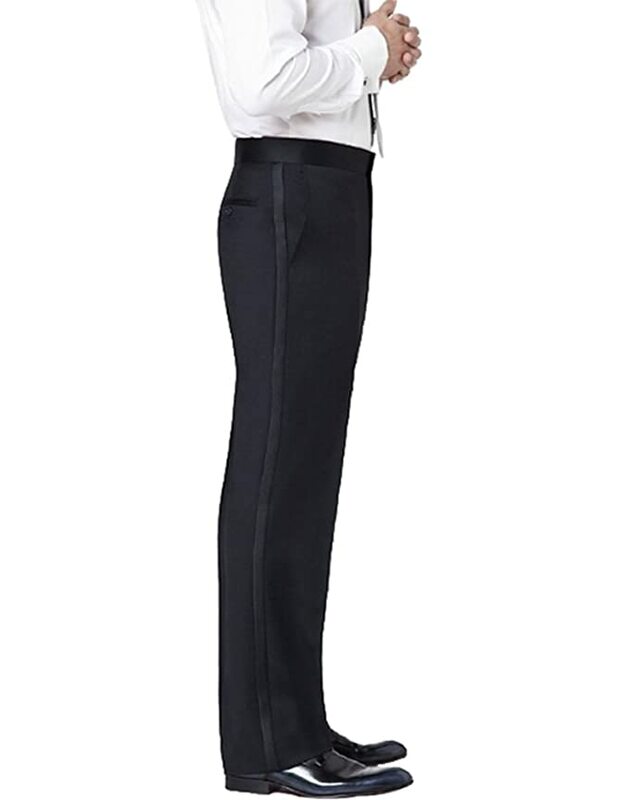 Ivory pants were ideal in summer for the upper classes. 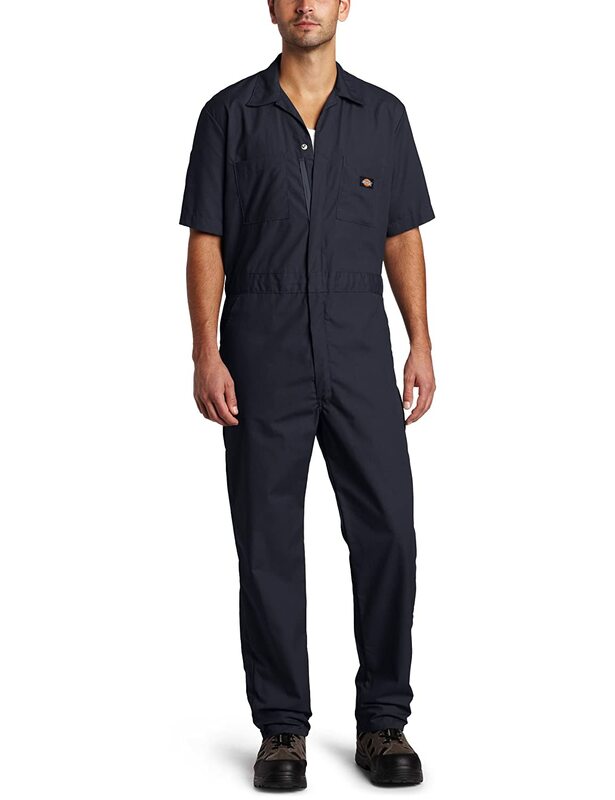 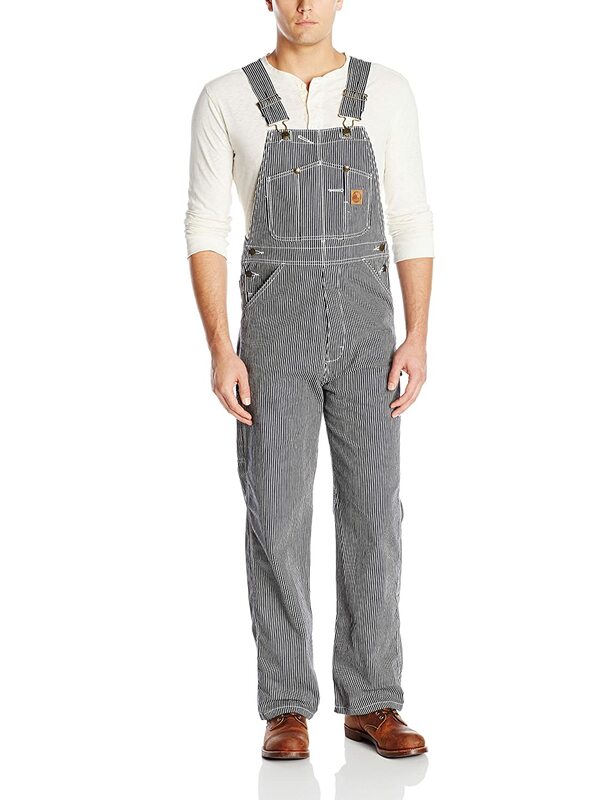 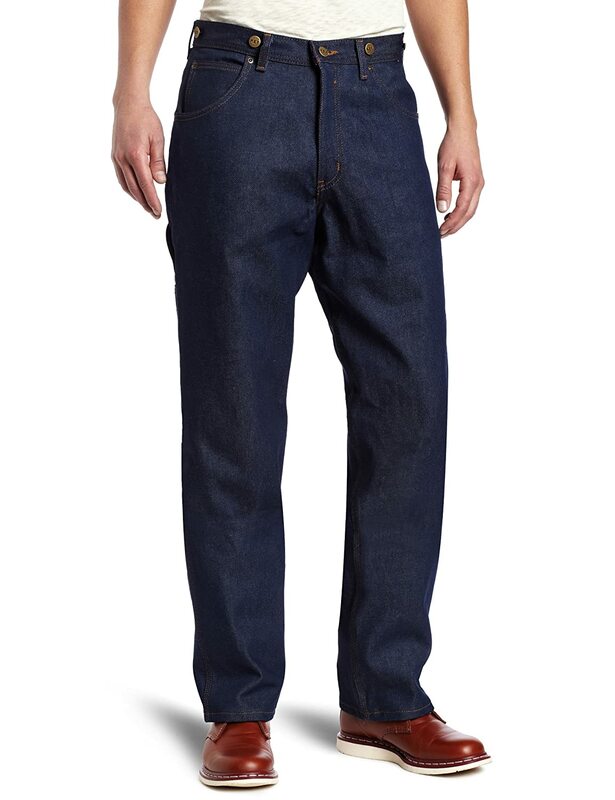 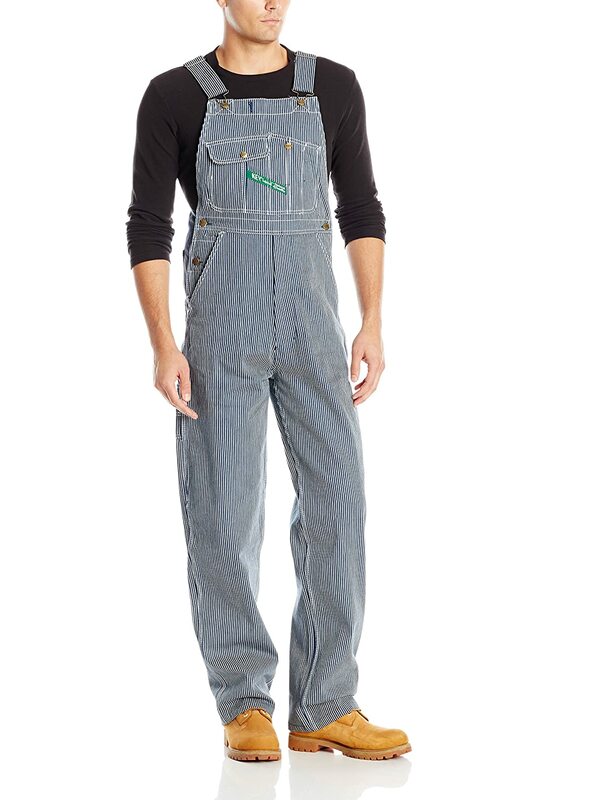 Lower classes wore whatever they could get a hold of or they wore heavy denim overalls at work. 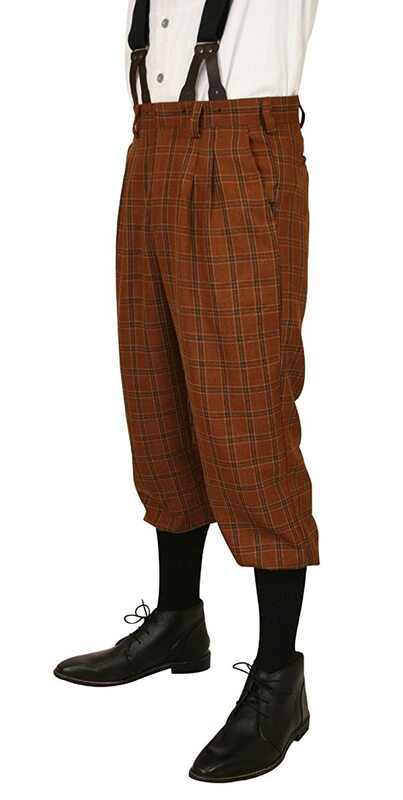 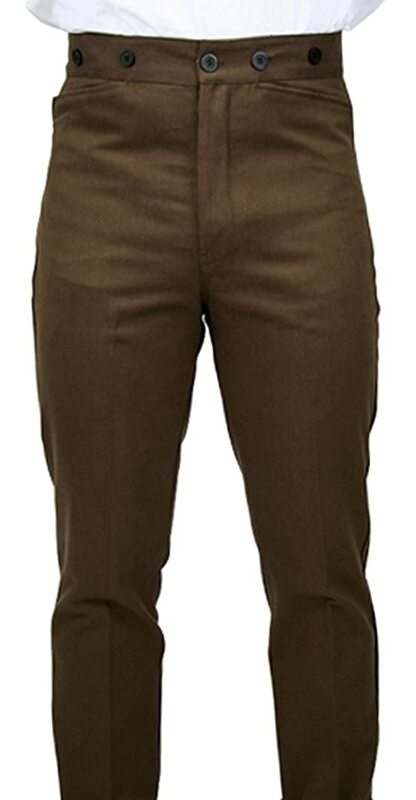 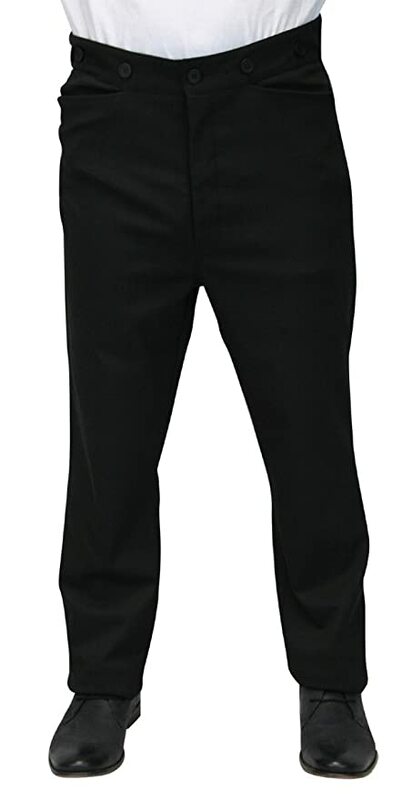 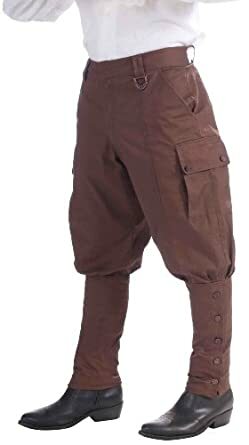 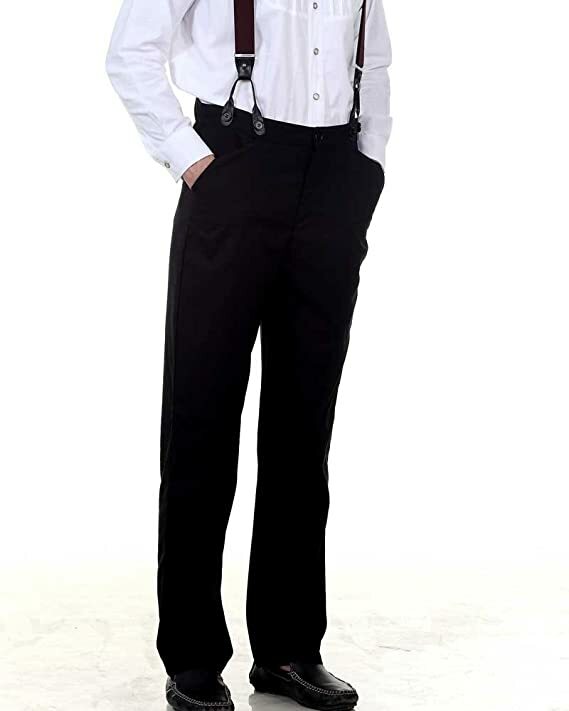 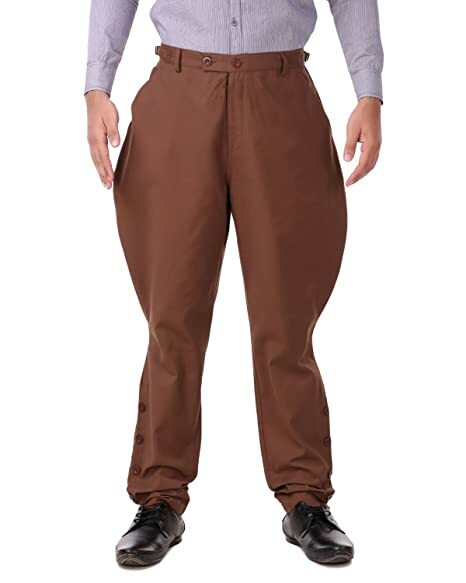 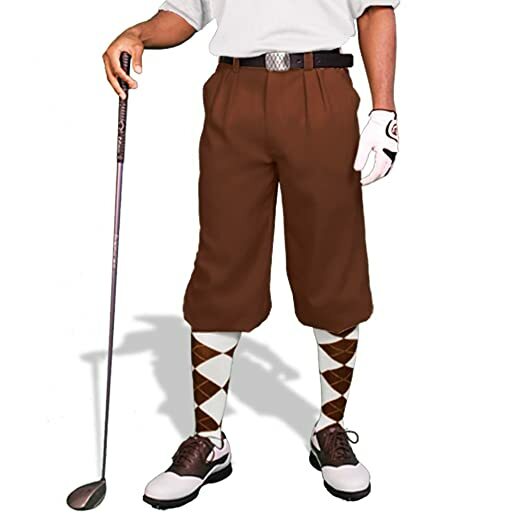 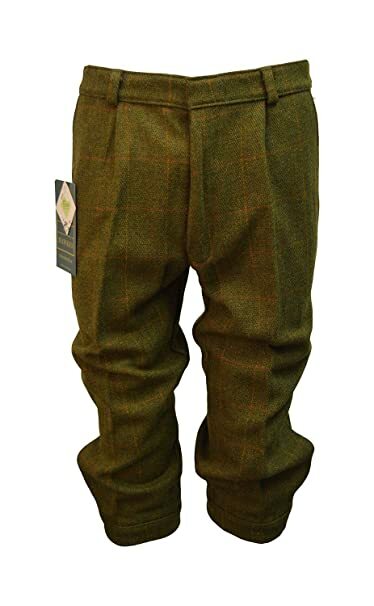 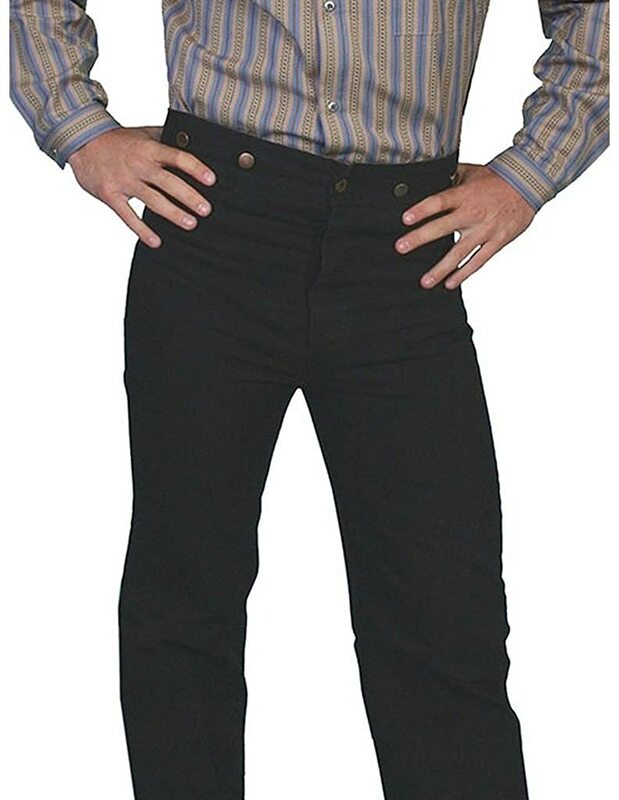 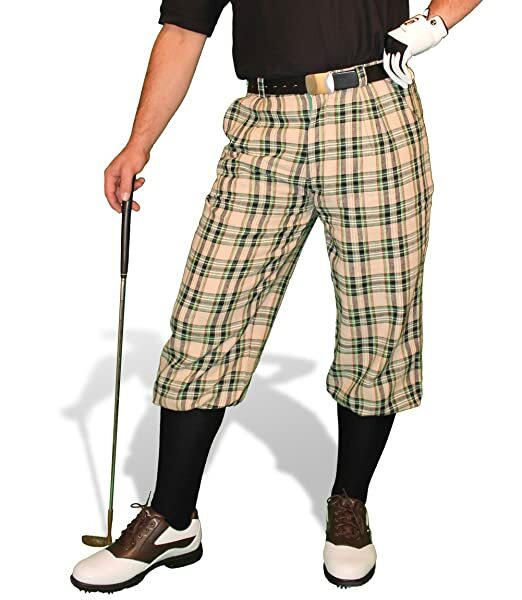 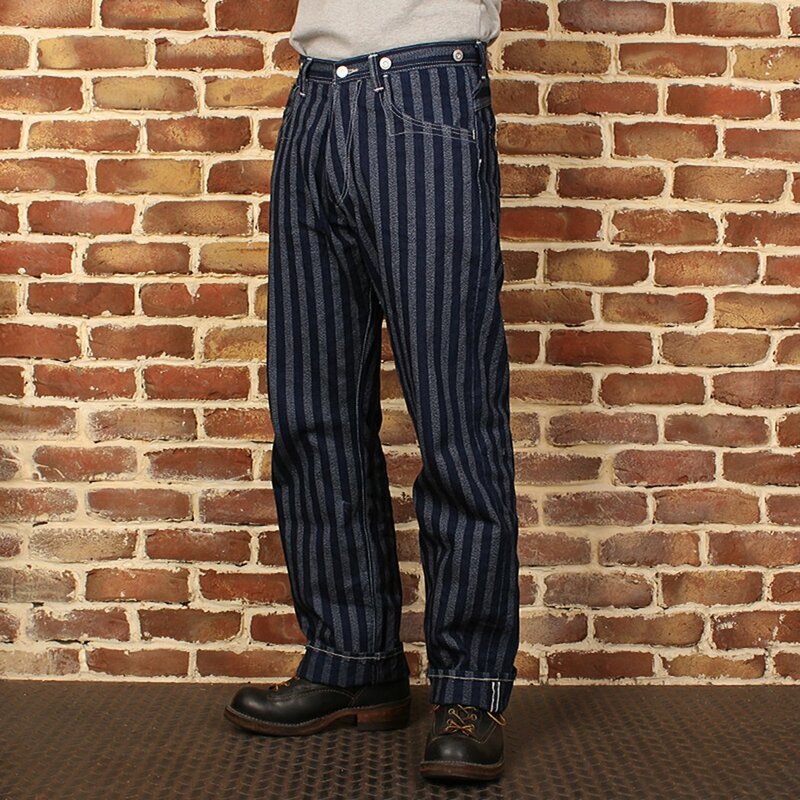 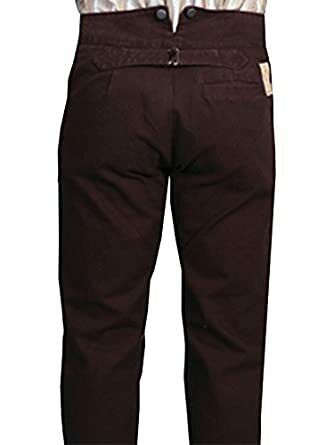 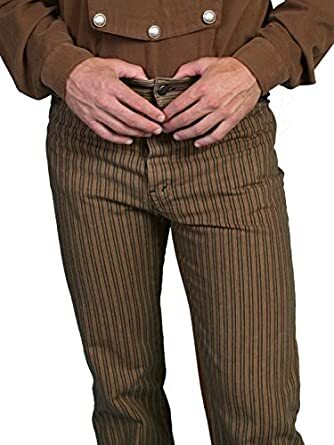 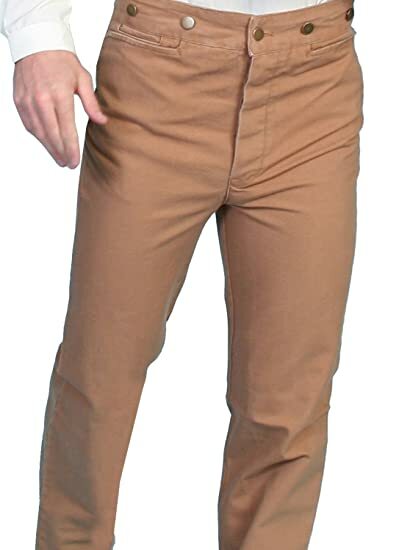 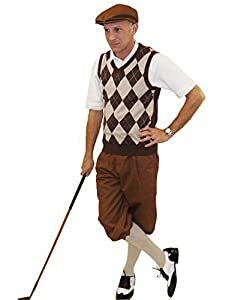 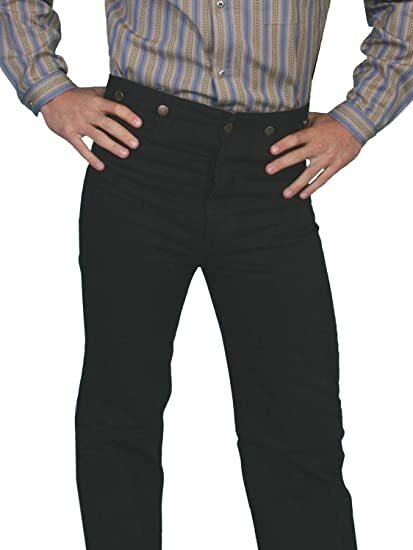 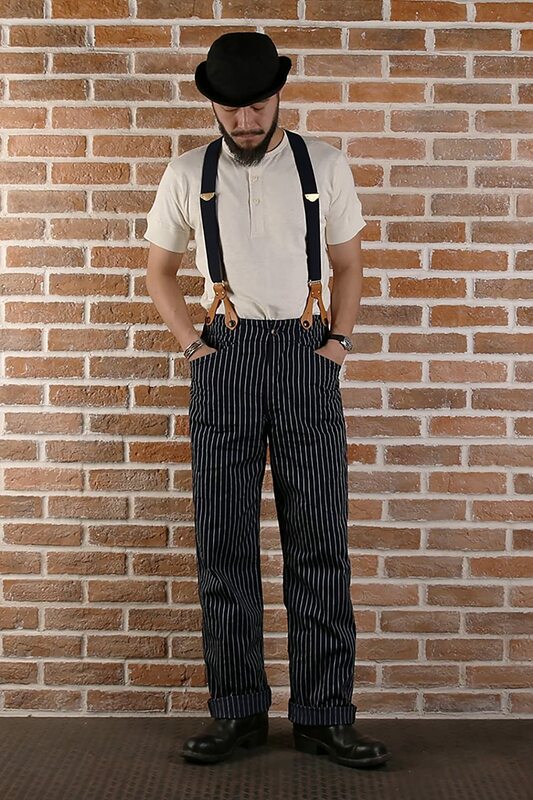 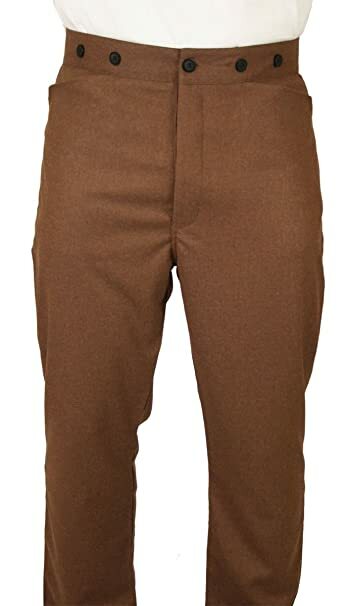 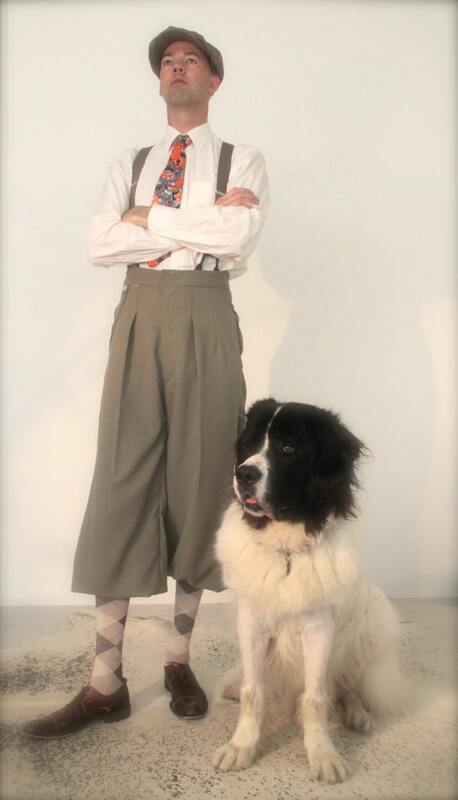 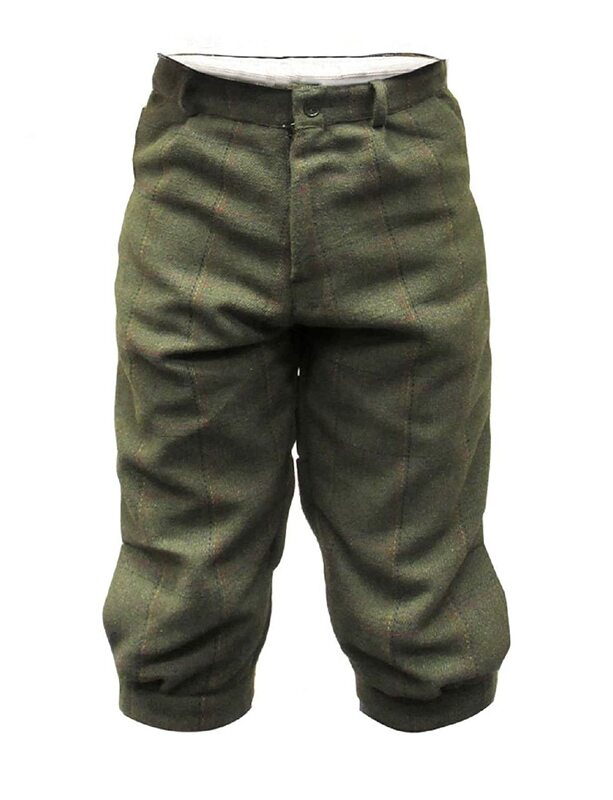 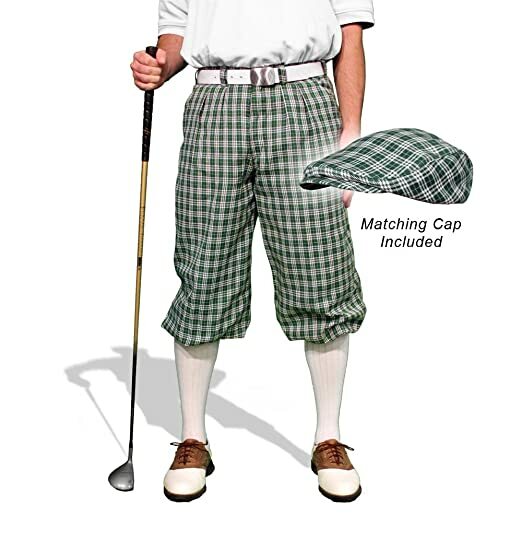 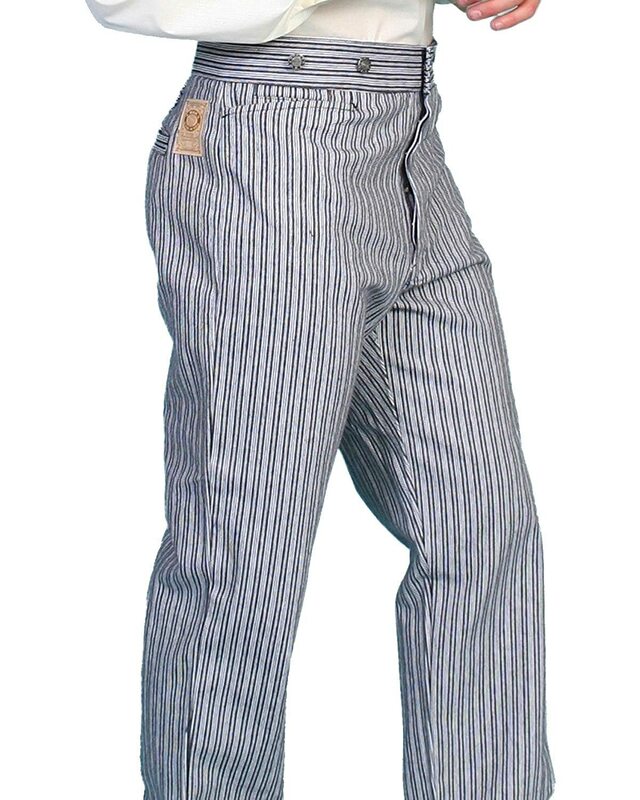 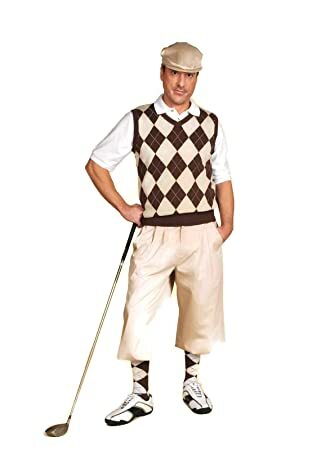 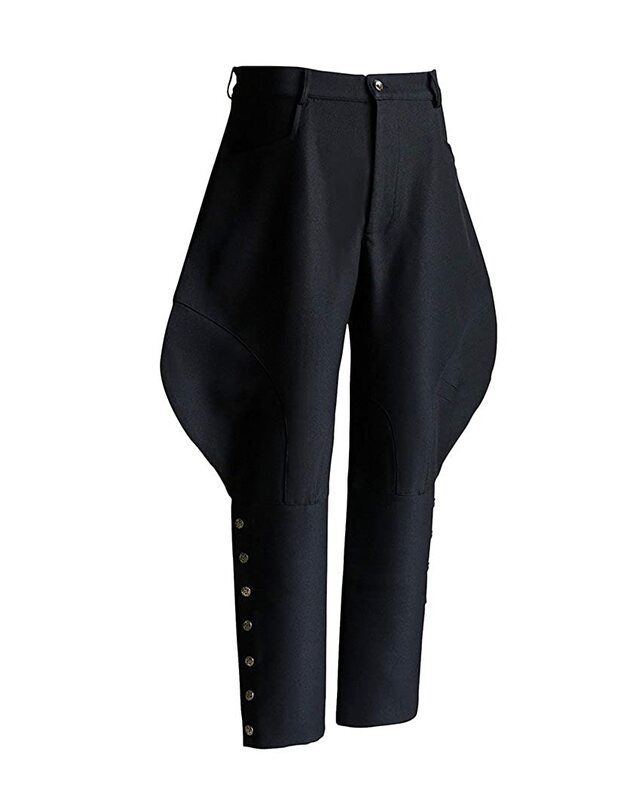 Some of these pants and trousers are repro Victorian which still work for the Edwardian era or new men’s classic fit trousers which also work perfectly well for most costumes needs.